Convicted terrorism supporter David Hicks. Hicks was later charged with "providing material support of terrorism" and "attempted murder in violation of the law of war" - the latter charge was also dropped. On March 26, 2007 David Hicks pleaded guilty to the one remaining charge. "A prisoner exchange agreement between Australia and the US means Hicks will be allowed to serve out any remaining prison time in Australia, Foreign Minister Alexander Downer said on March 27, 2007. "News reports after the trial stated that "Hicks has pleaded guilty to only one of two counts under the charge. It says that, in Afghanistan during 2000 and 2001, he provided material support for al-Qaeda, which was engaged in terrorism against the US. He pleaded not guilty to a second count that said he provided material support or resources "to be used in preparation for, or in carrying out, an act of terrorism". Hicks was sentenced to another seven years in prison by the Military Commission panel but a pre-trial plea bargain drastically cut that sentence. He will spend the last seven months of his sentence in an Australian prison, Yatala Labour Prison. Hicks arrived back in Australia on May 20, 2007. 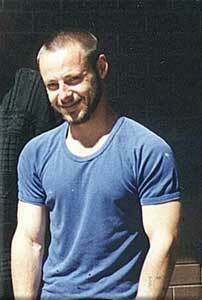 He is due for release from prison in Adelaide, South Australia, in late December, 2007. Under the terms of his plea bargain, he is not permitted to speak with any media for 12 months. This page was last modified on 13 July 2016, at 02:25. This page has been accessed 4,078 times.